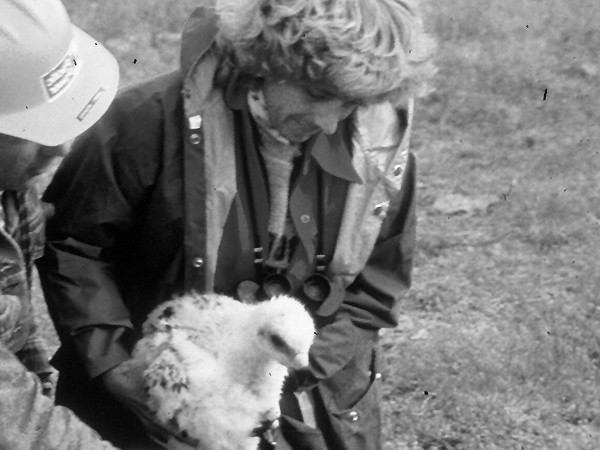 Karen Steenhof has been working in the Morley Nelson Snake River Birds of Prey NCa for over 40 years as a wildlife and research biologist. The research that she conducted in the 1970s, 80s and 90s played a key role in the establishment of protection for the area. She has become one of the leading advocates for research based management of the NCA – advocating for continued raptor monitoring in the Snake River canyon, and playing an important advocacy role in the controversial decision to route a new powerline through the canyon. It was an honor to speak with Karen about her involvement in the history of the Morley Nelson Snake River Birds of Prey NCA, and we thank her for sharing her story with us.